Do you, like us, feel that certain Dog breeds seem to have lost their popularity significantly over the past decade? We’re about to uncover useful information on one such breed— you would be no stranger to this Dog breed. After all, they have made appearances on big screens, more than you's imagine. Remember these guys? With the trend of fancy grooming and introduction of so many other breeds, this breed has lost most of its original fame. There used to be a time were you would chance upon a Jack Russell Terrier every time you see an owner walking their pet Dogs. Jack Russell Terriers were very first bred for Fox Hunting, by the late Reverend John "Jack” Russell, a priest and hunting enthusiast from England. During his last year at College in 1819 he bought a small white Terrier with tan markings to aid in his breeding program— an ultimate aim of developing a Dog with innate hunting abilities, courage and stamina. 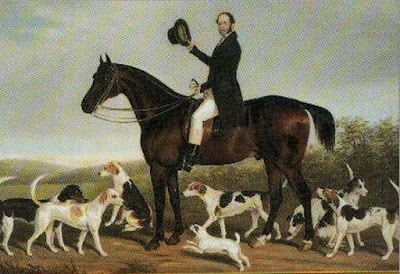 Hunting enthusiasts loved taking John Russell’s terriers out on their trips as they were well-trained and best known for hunting down Foxes that were hiding underground and not physically damaging their prey. Fact is, these Terriers have never tasted blood, not even once. 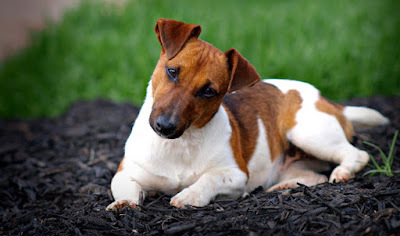 Jack Russell Terrier — The fore-most and original breed of 25 to 38 cm tall from the withers. Parson Russell Terrier — Standing at 30 to 36 cm tall. 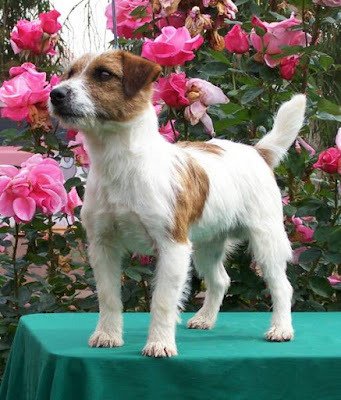 Russell Terrier — Smaller bodied, standing at 20 to 30 cm. After World War II, the popularity of hunting died down significantly— and so did the demands of hunting Dogs. Jack Russell Terriers were eventually kept as house pets. Cross-breeding of Jack Russell Terriers with Chihuahuas and Corgis led to the smaller version of the breed (Russel Terriers) with shorter legs. 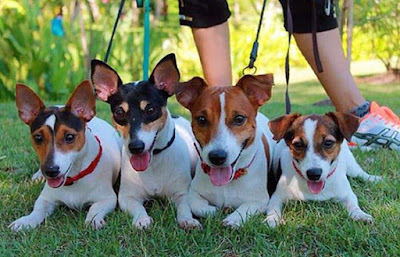 Though there might be 3 different standards, in Singapore we often see two types, the Jack Russell Terrier, and the shorter legged Russell Terrier. 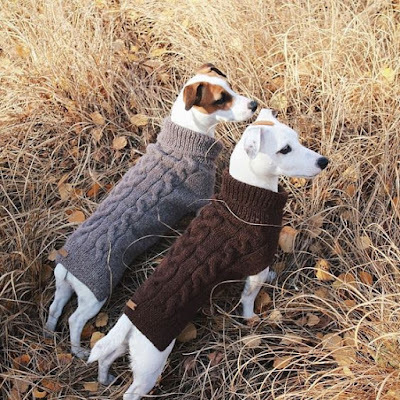 Besides their slight difference in size, some features are undeniably similar, like their predominantly White coats with Brown, Black or Tan markings and patches. Size — This compact small form was perfect for the initial Fox-Hunting purposes, allowing them to chase Red Foxes out of their burrows underground. Features — A compact, sturdy body of a smooth or rough coat, black nose, and small V-shaped ears coupled with dark almond-shaped eyes. 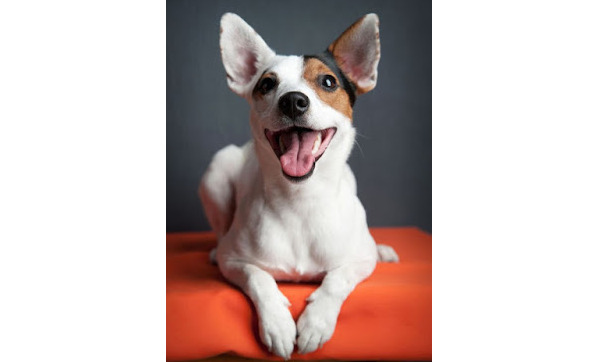 Given the original purposes of the Jack Russell Terriers' hunting ancestors, many of those we see today possess the same energetic, courageous and vocal traits. Just like Siberian Huskies, Jack Russell Terriers are not only intelligent, they require immense amount of outdoor activities and stimulating environments for entertainment. When neglected, they have the tendency to get depressed and find their own fun in destructive manners. Training in obedience should start at an early stage to prevent stubbornness. Jack Russell Terriers were meant to hunt, and they love chasing down moving objects. Sometimes, they may display aggressiveness towards other animals and humans— Again, early socialization and training is advised. 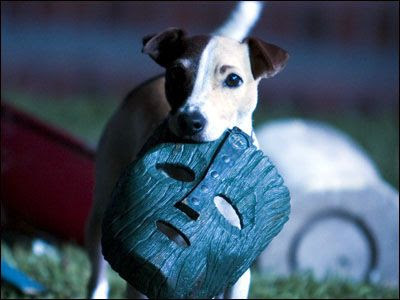 Some of the famous, well-trained Jack Russells we all know too well are Milo, a character and companion of Stanley Ipkiss played by Jim Carey in the movie The Mask, and Nipper, the Jack Russell you see on HMV’s logo. There you have it, proof it isn’t impossible to train any Dog! A Jack Russell Terrier can live up to 16 years if properly taken care of and showered with love. 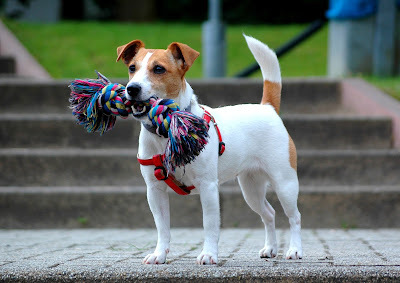 Jack Russell Terriers can still be a lot of fun when properly trained, it just takes two hands to clap. Ensure you have the time and commitment, otherwise a Jack Russell might not be the right choice for you. Otherwise, they make great exercise companions and a ton of fun outdoors. Dog Behaviour: What Is My Dog Trying To Say?